The world in the one that developed the history of the Bauhaus was very different from the current one, though his influence in the art, the design and the architecture is recognized still in a very clear way. El mundo en el que se desarrolló la historia de la Bauhaus era muy distinto al actual, aunque su influencia en el arte, el diseño y la arquitectura se reconozca todavía de manera muy patente. His chronology coincides by chance with that of the Republic of Weimar, more concretely with the period that Nazi and Hitler’s proclamation goes from the end of the first world war up to the raise to the power of the party as Foreign Minister of the German condition. An epoch of transition that it is born with the end of an atrocious war and that dies with the whiteness of another even crueller war. A radical period of distress and abstraction, of political revolutions and of strong economic fluctuations. An epoch, definitively, of deep ideological and structural changes. Though, really, the history of the Bauhaus began at the beginning of the 19th century, when the industrial revolution stimulated the machine and the new materials of construction and his unstoppable activity was usurping gradually the traditional functions of the artists and the craftsmen favoring the mechanized production. The Universal exhibition of 1851 (London) was celebrating with gabble the proclamation of a new age and he amazed to the world with his incredible buildings of iron and crystal and his powerful machines. His emblem was the gigantic “Crystal Palace” of Paxton, abundance of fantastic mechanical devices. But the shining maquinismo started having opponents. Especially in England where the industrialization supposed submitting to the working classes to a few particularly cruel living conditions. Morris influenced by Ruskin’s precursor ideas, was thinking that the industrial production was damaging spiritually equally the craftsman and the consumer, was thinking that it was stealing from the craftsman the happiness of the made well work and was denying to the public the pleasure of living in a wrought environment nimbly and love, was denouncing that “the machine did not have soul”. It proposed then to revive the traditional trades and to direct his efforts to re-intensify the crafts and to reform the design. There was created the movement “Arts & Crafts” of great influence in the whole Europe, and there began to be promoted the new schools of Arts and Trades. Gottfried Semper, German architect, critic of the universal exhibition, less ingenuous that Morris who was trying to detain the advance of the industrialization, was thinking that it was necessary to admit that the technological process was irreversible and that it was necessary to bet for the education of a craftsmen’s new class that was exploiting with artistic sensibility the potential of the machine. It was the one that introduced, with this new bias, the equivalent of the Arts and Crafts in Germany. Henry Cole, Englishman, friend of Semper and organizer of the Universal Exhibition, realized that, really, the only solution was to promote an education in which the Museums of Crafts were recovering the same paper that the Schools of Arts and Trades. The artistic formation and artesana needed an urgent reform. The craftsmen had a system of medieval learning that was going back to the epoch of the cathedrals, and the artists were formed in the Academies in which the antiquity was studied by worship being kept blind to the forefronts. The architecture entered crisis. There questioned the use of the new materials and the inflexibility of his forms, and in addition, it was necessary to solve the over-excited growth of the urban populations, the housing of the urban proletariat. The housings had managed to be alarmingly precarious and insane. The invention of the “city garden” wanted to solve the problem, firstly in England and soon in the rest of Europa. There were created urbanizations landscaped for the workers under the Anglo-Saxon image of the “inhabited forest”. Really, the United Kingdom, in the last decades of the 19th century, had been the industrial power of the continent and had been characterized by the quality of his industrial products, his crafts, his schools of Arts and Trades, his cities garden and his architecture of modest and solid houses. The rest of Europa contemplated it with admiration. Austria and Germany, very competitive, strained glaringly in going on to the forefront. About 1910 they had managed to exceed the Britishers in originality of ideas and quality of solutions with regard to the formation in the world of the art, the crafts, the design and the architecture. It was the Vienna of the artists of forefront who associated in the movement called “Secession” and revitalized energetically the architecture and the trades, liberalizing the painting and the arts in general of the reigning historicismo. In that the “Wiener Werkstate”, was created, a few workshops craftsmen who made furniture, domestic and textile objects with a simple and essentially geometric style. The city of Adolf Loos, architect of radical ideas of well-known influence, who imposed a new way for the architecture, an aesthetic ideology that was proposing as need the absence of ornamentation. In Germany it landed Muthesius, architect that it had remained in England long years to study the British town planning. Admirer of the sober and functional English architecture persuaded the big German architects of the epoch (Behrens, Poelzig, Taut) that they were directing schools of new formation and artistic inclinations. Also it persuaded the manufacturers in order that they were stimulating the industrial design. But his more important achievement was that in 1907 it assembled a group of artists and manufacturers in order that they were founding the Werkbund, a new association with an alone aim: the reconciliation between the art, the crafts, the industry and the trade. This supposed a clear improvement for the German products and stimulated a new concept of artistic formation and artesana. In this context, an architect like Behrens (founder of the Werkbund) was named by the company AEG as designer chief, and of his hand there went out not only the products of the company (telephones, ventilators, boilers and lampposts) but also his buildings. The ship of turbines AEG in Berlin supposed an architectural milestone of the first magnitude. Beherens had been a member in 1898 of the artists’ colony of Darmstadt together with Ölbrich, that was chasing the example of the Arts and Crafts Englishman. In 1903 named by Muthesius, it directed the school of Arts and Trades of Dusseldorf insisting on the aim to link the traditional crafts with the mechanized production, there there was formed Adolf Meyer, partner of Gropius during the first years of his exercise. For his study of Berlin there happened the architects who were going to have more relevancy in the later years: Le Corbusier, Gropius and Mies Van der Rohe. In 1912 it forms a part of the founding group of the Werkbund. Another member of the Werkbund, Henry van de Velde, a designer and Belgian architect, it founds, directs and constructs the school of Weimar in 1902, constituted as an institute to support the work of the crafts in the industry. The same one They Go of Velde, after the war, it was going to propose Gropius him it happened what it would mean the beginning of the Bauhaus. “The cathedral of the future, which will include everything in an alone form: architecture, sculpture and painting”. The expressionism was chasing the Utopia of which the art could change the world. Already in the exhibition of the Werkbund of 1914 some samples of the expressionism were recognized, overcoat in the pavilion of Bruno Taut’s crystal. This current of thought, which became strong after the disasters of the war, was thinking that the architect could change the world and the conscience of the men, and that the important thing was the work in collaboration, looking for an artistic “total” work across the combination of the different disciplines. In the bottom they were included inside the revolutionary aims of the left side. Gropius was hoping that his school was turning into a source of social change thanks to the art. When the Bauhaus opened his doors in 1919, in the Van de Velde´s former building, Gropius was thirty six years old. It had taken part in the war and, still when it was proclaimed apolítico, was sympathizing with the left side because he was thinking that only a radical social reform could save Germany. This led him to thinking that it were necessary to to put emphasis in the crafts to the detriment of the mechanical production. It tried then to constitute a community, using especially painters, with an educational program directed so much to developing the personality as to facilitating the technical knowledge of the students. Gropius, born in 1883, of father architect, had studied in Munich and Berlin and after the career it had worked with Behrens. From 1910 it founds his own workshop together with Adolf Meyer. The factory Fagus of 1911, his first order, goes on to the history for his revolutionary walls curtain and his aesthetics are a faithful representation of the efforts of the Werkbund. In 1914, in the exhibition of the Werkbund, it returns to amaze with his model factory. From 1919, after the war, Gropius forms a part of an architects’ association called “Arbeitsrat für Kunst” (Advice of the Worker of the Art), of the one that would manage to be immediately his president. The aim of this association was the direct commitment of the creators in the forge of a new social order, of agreement with his manifest (written by Taut) “The art and the people must form a unit”. But Gropius in the bottom was detesting all organized politics, he was trying to found a “discourteous” community. Anyhow, though his socialism was Utopian, nobody could believe that the creator of the splendid factory Fagus of before the war could have transformed up to the point of managing to create the Monument to the “March of the Death” of 1921, of there invoices clearly expressionist, a dynamic piece of concrete carved as a great crystal. The direction of the Bauhaus was the center of his life until it was resigning in 1928. It was characterized for being an efficient, politically perspicacious administrator, and a persons’ skilful manipulator and situations. In 1919 Germany was plunged in the chaos, it had just lost a disastrous war. Weimar, the capital of the condition of Thuringia, was small and did not have practically industry. The new state school, given his expositions of origin, began with the opposition of some sectors of the population, especially of the nationalists, for thinking the dangerously cosmopolitan school and of left sides, and of the academicistas and the craft guilds, that they saw his social position was in danger. The students did not have scarcely economic resources and Gropius had achieved that all the teachers were prominent figures of extraordinary originality and great capacity. They were almost all painters and there was claimed that they were instructing on the effects and the employment of the color, in the form and the composition, and in the foundations of the aesthetics. The initial aim was the formulation of a new grammar of the design that was not depending on the historical models. The school was structured then by the combination of the teachers of workshop, prominent figures of great training in his trades that were providing manual skill and technical knowledge, and the teachers of form, the painters, who were promoting the creativity. Even if the maxim of this first period was the unit of the Art and the Crafts, with this fragmented system there was a royal separation between art and trade, since the “Teachers’ Advice” that was the organ that was taking the decisions of the Bauhaus was formed only by the teachers of form. There was formed a school modern and opened for the future, in which one was trying to knock down the barriers between the Fine arts and the Trades, characterized by the maxim of which “the end of any artistic activity is the Construction”. The first contracted teachers were two painters and a sculptor. Itten, Feininger and Marcks. All of them linked to the Berlin gallery “Der Sturm”. Itten was a painter of strange beliefs, with a great charisma, mixture of saint and charlatan. Clearly extravagant. It was Swiss and had studied in Stuttgart with Hoelzel, pioneer of the abstract art. Ligature to Loos’s circle on having had a school deprived in Vienna, recommended it for the Bauhaus Alma Mahler, the woman of Gropius. Mystical, opposite to any materialistic interpretation, it was characterized for being a fervent follower of a strange sect of origin indú; the “Mazdaznan”, and for it it was involving the pupils in physical and mental exercises, in a strictly vegetarian diet and in periodic purifications with fastings and edemas. He was thinking that all the human beings are innately creative and that his doctrine could open the artistic talent of each one. The “Mazdaznan” got hold during the first years of the bauhaus because Itten was, undoubtedly, the most influential teacher. His principal contribution was the introduction of the preliminary course, in his hands a species of wash of brain, in which the aim was to liberate the creative latent potential inside every pupil. The course was selective and if it was not excelling itself the pupil had to leave the school. In him they were proposing different exercises in the shape of game that there were handling textures and forms, colors and tones, in two and three dimensions. He was thinking that any perception takes place in terms of contrasts: nothing can turn for yes same with independence of another thing of different quality. The tasks, therefore, were consisting of the concordant disposition of signs, tones, colors and materials of contrast. In turn he took charge of the workshops of height of wood, metalwork, glassware and wall painting. His omnipresence and fort influences it would manage to be a problem for Gropius. Gerhard Marcks, sculptor known by his slender ones and gotizantes figures and engravings he was also a member of the Werkbund. He was a teacher of form of the workshop of ceramics since it had some experience with the industry. Also he contributed in his printer’s quality, workshop which teacher was Feininger. Lyonel Feininger, painter germanoamericano author of the engraving of the Manifest of 1919, was the only one that it remained in the bauhaus from the beginning until the end. As a whole, nevertheless, it taught little. He had been a draftsman of cómics of success in The United States, his style, angular and graphically, was anticipating the linearity of his paintings. He was interested overcoat the painting of landscapes and architectural motives and was feeling fascinated by the color. It is possible that it was the architectural character of his works what attracted Gropius when it contracted him. “the only ones that will remain faithful to the art will be those who are prepared to spend hunger ”. The Bauhaus had as aim from the beginning have financial autonomy across the sale of the work of the workshops, but in general this us and obtained with the exception of the workshop of fabric and that of ceramics. The first project of architecture in the one that informed the Bauhaus as school was the villa in Berlin for the businessman Sommerfeld, in 1921. They projected Gropius and A. Meyer in collaboration with the workshops of the Bauhaus, and it is possible to recognize in her Wright’s clear influence. The employment of the girders of teak was an imposition of the client who was trading with wood. The reliefs are of Schmidt, Breuer’s furniture, there were designed also the lamps, the iron-works and other accessories. It was a success as cooperative project, but it exalted a crafts gone out of fashion (there was nothing of industrial design), the order did not come from any industrial tycoon of Weimar and did not take charge directly to the Bauhaus but to Gropius’s particular workshop. Between 1920 and 1922 there were new incorporations to the teachers’ Advice of the bauhaus. For his transcendency must be outlined Schlemmer, Muche, Klee and Kandinsky. Gropius knew Schlemmer de la Werkbund, was a painter of formation who was interested immediately for the theatre and, before the war, it took part in works expressionists. As painter his only topic was the human figure, figures that were looking like dolls very removed from the classic world, placed in slightly deep spaces with geometric forms and of a very architectural aspect. He was the person in charge of the workshop of wall painting, though his principal assignment passed in the workshop of sculpture, taught also drawing in movement and, from 1923, his more famous contribution took charge of the workshop of theatre. It had a great worry because the art was primarily public, and was considering the theatre to be the most public of the arts. It is a question of an artistic discipline that it combines diverse means and it links her with the architecture; it needs narrow collaboration of great quantity of artists and different craftsmen being employed at equipment. Because of it it was interested so much in the Bauhaus. The most celebrated production of Schlemmer fu the ballet triádico (1922). A species of theatre of guiñol in that escenigicaba a metaphor of the perfect and innocent human being. He was undoubtedly one of the most important teachers of the Bauhaus. Muche started by helping Itten in the preliminary course and taught basic design in the workshops. He was the teacher more young woman and, when it left itten, it replaced him in the preliminary course. He was a teacher of form of the workshop of fabric. He was a painter expressionist with clear mystical inclinations, not uselessly it was of Itten’s rope, which came to the bauhaus with the hope to find an artistic community. It was interested for the architecture and project, since we will see, two experimental houses. Kandinsky joined the bauhaus in the half of his career. It was Russian, but he had studied in Munich, and during the war it was forced to turn to Russia, in 1921 it returned to Germany before the fears of a reaction against the experimental art in the Soviet union. He was, undoubtedly, one of the most famous abstract painters of the international panorama, in 1911 he had written the book “It brings over of the spiritual thing in the art” that was of great influence in the artistic circles. It was teaching the process of looking, not of practising the painting. Theoretical tireless, it was trying to formulate objective laws that were explaining the subjective experience of the art. It substituted Schlemmer as teacher of form in the workshop of wall painting and developed a course of basic design together with Klee. His principal aim was to spread the concept of objectivity in the art. What was turning in singularly the education of the Bauhaus was his preliminary course, definitively, the quantity and quality of theoretical education and the intellectual rigor with which there was analyzed the essence of the visual experience and the artistic creativity. In almost the whole history of the Bauhaus the preliminary course was at the expense of Klee and Kandinsky though Itten was the predecessor. Itten took colourist as a painter and was thinking that his principal contribution was his theory of the color. It was more interested in the emotional and spiritual properties of the color that in his scientific aspects. He was thinking that it was impossible to consider the color without form and vice versa. It was departing always from the contrasts in the color, and this leads him to conceiving not a wheel but a sphere of colors. The qualities of the color were not, certainly, only optical. The emotional conditions were communicating across the color and the form. Every form had his local color, which emotionally was squaring better, like that the square was red, the yellow triangle, and the blue circle. He was claiming that the pupils were becoming sensitive to the “internal meaning of the forms”. Kandinsky, which would not enter the Bauhaus until 1922, was believing in something similar. Though it was Itten the one that was influenced by the theories of his “It Brings over of the spiritual thing in the art” of 1911. It was characterized for enjoying the gift of the sinestesia, that is to say, when there was stimulated one of his senses other one was reacting. It heard something when it was looking at an image or a color, saw a color or an image when he was listening to music. His senses were communicated, and his principal effort was to explain objectively these experiences. His preliminary course was consisting of analytical drawing and theoretical study of the color and the form, of very structured almost scientific form. For him, the fundamental distinctions of the colors were his “temperatures” and his tones (luminosity or darkness), light and heat. This way, which was determining the “temperature” of a color was his trend to yellow (warm) or to the (cold) blue. In addition, every color not only had a “temperature” but also a “meaning”. In turn, his particular investigation in the world of the form was beginning in the point that put in movement was turning on line. Every class of line, depending on the type of force exercised in her, possesses analogous qualities to every type of color. The vertical ones are hot, the horizontal cold ones. With such a rigorous course the eyes of the students were opened for the possibilities of an art so intellectually controlled like emotionally expressively. Klee was suggestive and doubtful, opposite to Kandinsky that was rigorous and dogmatic. As Kandinsky and Itten he identified parallelisms between the painting, the music and it used them in the explanation of his theories. He was a virtuous violinist and, as Itten, had marked mystical inclinations, was thinking that the expression of the art could not explain to teach, which could explain they were the stages before this expression. As Kandinsky, was beginning his classes on the form with a speech on the point and the line. For him, the line describes two basic types of the form; the structural one and individual. The structural one is reached if the same visual element can repeat indefinitely to form everything, whereas the individual form cannot add or remove anything without changing his character him, the contour of a figure with form of fish it would be his individual line and the concentric and repetitive drawing of his scales would be his structural line. Thus, the students were managing to be accustomed to the potential of a simple image. For Klee, the purpose of every work of art was the creation of a visual harmony, a balance between the beginning of the “masculine element” and the ” feminine element” of the mind and of the matter. With everything, the relativity was for him the most important factor. After an intense initial period Theo Van Doesburg’s presence in Weimar was going to be the person in charge of a change of course in the Bauhaus. He was an architect, theoretically and founder of Stijl’s movement (neoplasticism). In 1921 it appeared in the city of Weimar, and from there it put to edit influential magazine “De Stijl”. It might say that Itten and Doesburg were both faces of the same currency. Both were dogmatic, highly charismatic and completely different. Itten with monastic clothes, Doesburg with monocle and black shirt. Doesburg was a member distinguished from the international forefront, motive from the movement neoplasticista “De Stijl”, together with Mondrian and Rietveld, with a great transcendency and repercussion in the artistic scene of that moment. It wanted to organize the congress “Constructivist and dadaist” in Weimar in 1922 that was supporting the cerebral art inspired by the machines. And of 1921 until 1923 it gave a course ” Of Stijl ” in compound Weimar almost completely for pupils of the Bauhaus. Gropius had imagined a school opened different painters, plural and moldeable, and this had not been possible for the force of Itten’s character, which was dominating everything. With Doesburg’s new, clearly discrepant influences with Itten, the emphasis in the trades seemed to be increasingly anachronistic. A clear sign of the change of mentality that was in preparation in the Bauhaus was the adjustment of the official stamp. The stamp expressionist of Röhl was replaced by one of Schlemmer, of great clarity, economy and of influence Neoplasticista. Doesburg’s influential presence in Weimar made reappear to the Gropius of the factory Fagus, suppressed from the beginning of the war. Though the change of course was not any more than a symptom than a change generalized in all the arts, specially sensitive in this epoch of continuous forefronts. The death of the expressionism was proclaimed, replacing it with a more sober, disciplined and “conventional” style. To this period there was called he the “new objectivity” in view of his new practical, concrete and direct sense. More rational. Itten was convinced by Gropius in order that it went away, and it was replaced by an artist near to Doesburg: Lázló Moholy-Nagy. Moholy-Nagy was Hungarian, and it took part in the congress Given and constructivista of Weimar of 1922. If Itten had an aura of spirituality and communion with the transcendent thing, Nagy was seeming monkey worker’s of the modern industry, was a sober, man calculating and rejealous of the emotions. He was identifying with the movement constructivista, was a follower of Tatlin and The Lissitzky, was rejecting all the subjective definitions of the art and was despising the artist as author inspired of the only works. For Tatlin the artist was a producer, convinced that the idea that exists behind a work of art was more important than the form of executing it. Moholy was self-taught, an innovator, and was proud of his adaptability. It did constructions, collages, he was a typographer and designer, and was thinking that the one who could not come out in photographs was a species of “illiterate visually”. In effect, his speciality was the photography, more in I make concrete the still, done without chamber interposing objects, light and sensitive paper. His paintings were abstract without concessions. It was doing of way constructivista using geometric simple elements and it was titling his works with pseudo scientific titles (letters and numbers). One tells him, that it managed to entrust a painting for telephone. He was a brilliant teacher who was rejecting all irrationality. His aesthetics constructivista of exact forms and simuladamente technical it was totally opposite to the expressionism of his predecessors. It was rational and with the clear head. Nagy’s fetish was the machine. With him, Itten’s preliminary course changed completely. The whole metaphysics, the exercises of breathing and easing, intuition and emotional capture of the forms and colors changed for classes of introduction to the technologies and basic materials and his rational use. His influence in the workshop of metalwork was total. Before the pupils were doing chandeliers, now they were done, using glass and metal, lamps of globe, and tea-pots and coffee machines of simplified forms. If from 1919 to 1923 the slogan was “Art and Crafts”, from 1923 “Art and technology” was going to be. In this context the painters started losing weight in the new Bauhaus. A radical change was going to be carried out. In order to look for economic independence and the cooperation of the industry, selling designs and patents, one was going to avoid producing the only objects for rich, one happened to systematize and industrialize the design of daily objects. Josef Albers, a former student, was going to help Moholy in the preliminary course. It had begun in the Bauhaus in 1920 to the age of 31 years. It dealed with Itten when the same age had that his teacher. He was one of the most out-standing students. It was fascinated by the properties of the materials and his potential when it was receiving form (the paper is a fragile substance but cut and doubled suitably he can be considered to be strong and rigid). It was using the simplest and less suggestive materials to give important lessons on the nature of the construction. He was saying “the economy of the form depends on the materials that we use”, and “you will obtain more doing less, this way it is the constructive thought”. It was the perfect complement to Moholy and both helped Gropiuus to re-lead the Bauhaus for a new way. already treated of romantic crafts and of Utopian dreams. The Bauhaus was orientated towards the industrial design and towards the massive production of cheap products of quality. With Ford and his production of cars in series, America had turned into the model of the technological reason, was the ideal company where the people were rich and equal. The capitalist Utopia had substituted the socialist Utopia where the machine was the enemy of the common man. The technology happened to be a very popular topic, since it demonstrates Fritz Lang’s movie of that epoch “Metrópolis”. In that moment special relevancy had the experimental house “Am Horn” designed by Muche (advised by Adolf Meyer). It was a question of a simple cubic construction done with prefabricated panels of frame of stuffed steel of concrete. It had a plant annul in whose center was the room of being of six meters of side, higher than the ring stay than her they were surrounding. Every room had a function and a character concrete. That of the children, for example, had walls finished in waxing in order that it was possible to do with chalk. The kitchen supposed a milestone in the functional design. Marcel Breuer did the first kitchen with low cupboards separated from the Superiors with encimera bullfight opposite a window (there was no table in the way since traditional age). The house was financed By Sommerfeld (he marries in Berlin of 1920). The exhibition did miracles in the spirit of the School, supposed the golden age of the Bauhaus, for the recognition of the public and for the diffusion of his works. But in 1924 the right gains the choices in Thuringia and the days of the Bauhaus in Weimar they were few. Though in 1925 the government of Thuringia, on which the Bauhaus was depending officially, was deciding to dismiss and to close the school for motives of political affinity, the exhibition of 1923 had obtained for the school many friends and admirers. The Bauhaus of Weimar was closed in March, 1925 and other cities, as Breslau or Darmstadt, they wanted to take charge of Gropius’s school. Dessau, nevertheless, did the most generous offer. It was bigger than Weimar, was much more industrialized and was more near the capital, Berlin. The mayor, Fritz Hesse, convinced the manufacturers of the convenience to bring the school to his city and obtained this way a nourished budget for the Bauhaus. The subsidy was allowing the construction of a new building and to support the housing teacher and pupils. Gropius projected then the new building and the houses of the teachers. The teachers happened of being teachers to teachers, one did without the teachers’ dual system of degree and without workshop, expert craftsmen contracted for the workshops but already without distinction similar to that of the teachers, and one left the democracy of Weimar; now the director was taking the decisions exclusively. Already craftsmen but a “new collaborator was not a question to form for the industry, the trades and the construction” that was a teacher of the technology and of the form. The major change, nevertheless, was the introduction of the department of architecture, which it was going to be directed by the Swiss Hannes Meyer. In 1925, the Bauhaus I found a company limited to commercialize his patents and designs, one started editing a magazine and publishing the “Books of the Bauhaus”. The new building was constructed very fast and in October, 1926 it was inaugurated by a great celebration. The new building was experimental, with structure of reinforced concrete with forged of slabs hollowed on girders, and flat covers. It had specially innovative facilities like moving belts, dumbwaiter, terraces garden or a theatre of central scene and spectators to both sides. It was possessing an area of education (classrooms), other one of workshops, a gymnasium, a canteen and 28 apartamentos/study for the pupils. Besides the houses constructed few distance, of the teachers, the individual one for gropius and three pareadas for the rest. The holidays of the Bauhaus were celebrated regularly and were spectacular. In Dessau one came for the education to former pupils, so called main young persons, who introduced new methods and activities. The most out-standing were Bayer, Breuer, Scheder, Schmidt and Stölz. Herbert Bayer, was painter and graphical artist, photographer, designer and typographer, a brilliant student of the Bauhaus who had entered in 1921. It was interested for the advertising, the design of exhibitions, announcements and visual identity, it had a marked influence of Moholy and Of Stijl. He was thinking that the calligraphic adornments were supérfluos the same as the capital letters, which was bold enough provided that in German not only capital letters take the own names but also all the nouns. 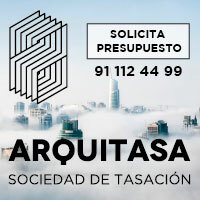 I design simple and elegant characters, it introduced the thick filets and sometimes with different color, and helped to guarantee this way the public character of the Bauhaus. Breuer entered the Bauhaus 1920, Hungarian, most of the time happened in the workshop of cabinet-making. Initially it was interested for the expressionism and the primitivism, later it happened for the strong influence of Rietveld and Of Stijl. It was of great originality and later influence the manufacture of chairs using pipes of steel curled besides leather or fabric for the seats and supports. He was the first designer who introduced the materials cromados in the houses. Scheper joined the Bauhaus 1919, was first one of the students in registering. He took charge of the workshop of wall painting, being interested for the utilization of vast surfaces of flat color to create an agreeable environment that was heightening the space fixed by the architectural design. Influenced for De Stijl this use of the color was for then totally originally and it influenced glaringly many artists and architects later. In addition, it contributed a new approach in the design of paper of walls. Schmidt was a student of painting from 1910 to 1914, therefore already he was an artist when it came to the Bauhaus in 1919. He was the most qualified student of Schlemmer’s environment. He was a skilful typographer, it taught calligraphy in the workshop of Bayer’s press. Though his principal assignment passed in the workshop of sculpture. Gunta Stölz was the only woman of the insole, he was formed in the workshops of looms. She was one of the best weavers of his generation, capable of moving complex formal compositions to the carpets, curtains and tapestries. In 1927 a department of architecture established for the first time to the same level that the rest of workshops. After the preliminary course the students could choose to specialize in architecture without there being forced to have knowledge of crafts of any type. The architect who accepted the teacher’s position of architecture was the Swiss Hannes Meyer. “All the things of this land are the product of the formula: function x economy. The construction is a biological process, is not an aesthetic process “, and it was adding: ” the architect? He was an artist and it is turning into a specialist into organization. The construction is only an organization: social, technical, economic and mental organization”. Under Meyer the department of architecture collaborated with Gropius in a series of orders. The most important was the project of Törten’s experimental housings in Dessau. It was a question of a complete, rationally planned urbanization, constructed almost completely by standardized elements, as closings concrete made of the own work. The standardization made the work more rapid and economic, the manufacture “in situ” reduced glaringly the costs of transport. The construction of every house lasted only three days. Meyer’s presence inspired resentments inside the Bauhaus. It faced Moholy, Klee and Kandinsky, and Muche went away. Gropius resigned in January, 1928, because it wanted to devote completely to his profession. He proposed to Mies Van der Rohe the direction but it refused, hurriedly and inexplicably for many it offered the position to Meyer. In this moment Moholy it resigned, Breuer and Bayer went away small later, Kandinsky remained as vice-director, though it did it to mine Meyer’s position. The department of architecture divided in two: theory and practice of the construction and design of interiors, and all the workshops subordinated themselves to that of architecture. Though the architecture was occupying first place completely, Klee and Kandinsky could give for the first time classes of painting, Schlemmer took charge of a new course called “Man” who was consisting of drawing of movement and classes on human biology and philosophy. Hilberseimer taught town planning. There was taught sociology, political Marxist, physical theory, engineering, psychology and economy. The change was drastic. Meyer was insisting to all the workshops that his products had to be destined to sell in the industry, not to supply the market of luxury, but to achieve practical, cheap articles and seriables. It turned aside the attention of the one-family housing to the collective one. The workshops at the time became, for the first time, very profitable and the school became self-sufficient. It was ironic that under the Marxist Meyer the school was benefiting so much of the successes of the capitalist system. The dissatisfaction between the painters increased for the emphasis that was taking place for the construction, the advertising and the sociological treatment of everything. But Meyer’s Marxism and the great politicization of the school were used for to the prensa to attack to the School and Hesse (the mayor) had to destroy him after being pressed strongly by several fronts. Mies Van der Rohe replaced Meyer in 1930. Mies had a reputation gained as designer of elegant buildings of steel and crystal. Since the director his first task was to return the reputation of the school, to liberate her of political dyes. His arrival was turbulent with riots and outcries and had to prohibit incisively the political activities. Though it never left his study of Berlin it turned the Bauhaus into furthermore school of Architecture. The theory was dominating everything and the workshops started stagnating and producing less and less, up to be paralyzing completely. The domain of the architecture was total. It divided the school, as Meyer, in two: exterior Construction and interior design. It was fewer funcionalista that Meyer, was accentuating the formal qualities, up to the point of qualifying him as “formalist”, and was demanding “correction”, aesthetics and elegance. The Bauhaus was at the time unrecognizably. Almost all the personalities of long ago already were not. Only they were remaining Klee and Kandinsky, though Klee went away soon after Mies came. The political events were threatening again the Bauhaus, in 1931 the party Nazi obtained the control of Dessau’s parliament and the history of Weimar repeated itself. The school was cosmopolitan to the nationalists was a nuisance for being an antiGerman. The modern thing, in addition, was synonymous of communism. The school was closed in 1932. In a desperate attempt for saving the School Mies rented a factory in Berlin and turned her hurriedly into School, though this time was re-opened as private institution. To little of re-opening the school, the Nazi were gaining the choices and the control of the condition. Hitler was turning into chancellor. The end came in April, 1933. The Nazi closed definitively the school. The bold hostility National Socialist was to a great extent the person in charge of the rapidity with which the reputation of the Bauhaus grew. She became a victim of a reason against which the entire world was fighting, and this made her very popular. Moholy-Nagy founded the “New Bauhaus” in Chicago in 1937, Gropius taught in Harvard and Albers in Yale. And it was, from now on, the most important the influence of the ideas and educational systems of the Bauhaus in many schools of the schools of art and architecture of the whole world, from London to Tokyo. Any thing and everything what was geometric, seemingly functional, that was using primary colors and was done of modern materials was a “Style Bauhaus”. Today for today the design “Bauhaus” continues being identified by almost everything modern, functional and of clear lines. There has been since then neither an educational system nor a set of artists joined in a common interest of the relevancy of the Bauhaus. The idea of the Bauhaus proceeds in any case of different approaches: that of the Werkbund, before the first world war, and that of Morris’s romantic medievalism and for extension of the expressionism. The conflicts between both opposite approaches, pair of objected in contrast that Itten would say, managed to liberate of the historicismo of hundred previous years and to open the field towards the modern revolution. It was undoubtedly a decisive and necessary moment in order that the 20th century was giving definitively the accolade that he needed from it was doing one century for the attainment of the revolution in the arts and the architecture. Without the Bauhaus the architecture would not have linked itself in a so solid way with the world of the art, of the design and of the industrial processes of construction. Thanks to that school of vehement artists of forefront the western world could change aesthetic records and to move away from the tyranny of the classic models.